When we decided to write our middle grade novel Every Shiny Thing, our point-of-view characters materialized quickly, their voices pouring out of us. First came Sierra: a fiercely loyal thirteen-year-old who has been separated from her alcoholic mother and placed into a loving foster home, where she resists connecting with her foster parents because she holds onto the hope that her mother will get better and their lives will return to their brand of normal. Then came her new neighbor Lauren: a determined, compassionate twelve-year-old who desperately misses her brother now that he has gone to a boarding school for teens on the autism spectrum, and who begins to examine her family’s privilege and recognize the injustices in the world. If we felt like we already knew Sierra and Lauren before we began writing their stories, that’s because we did, in a way. They’re fictional characters, but there’s something at their core that’s familiar to us: their sense of hope. We’ve both been deeply influenced by our work with kids. In that work, we’ve been struck by the hope kids have for other people and for the world. We’d like to share a bit about our inspiration for Sierra and Lauren’s characters and what they—and the kids we’ve known—have taught us about what it means to hope. 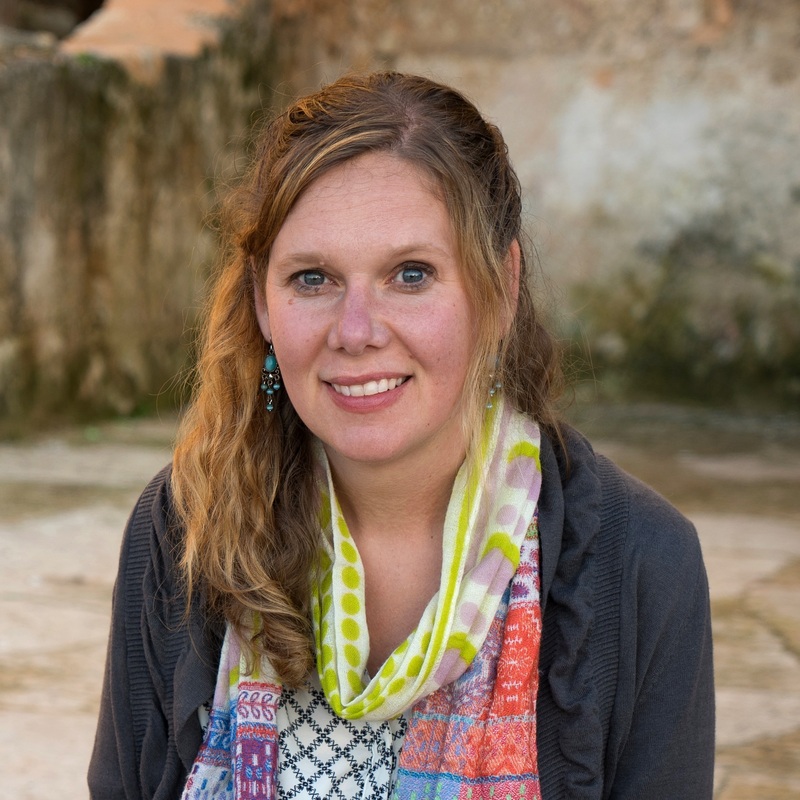 Cordelia: When I interned as a school counselor at a residential school for kids from low-income families, I worked with students who were grappling with very difficult issues in their families of origin. At around the same time, my husband and I helped care for my niece, who moved into a loving foster care placement with our friends. One thing these kids had in common was that, even though they were in safe, nurturing environments, they longed for the parents they had left. They were hopeful—even if their parents had disappointed them—that their parents would get better and take them back home to what they had known. As adults, we often feel like we know what’s best for a kid. At the time, I thought these children’s current situations were “better” than the ones they were coming from. But it’s more complicated than better or worse. In Every Shiny Thing, Sierra feels this same hope for her mother. Some people would think this hope is misguided. It could lead Sierra to a place of pain if she deludes herself into thinking something will happen that cannot. It could make her believe she has the power to change her mother. To save her. But as I wrote Sierra’s story, I saw that it is precisely this hopefulness that allows her to persevere. When things get hard, Sierra imagines something positive about her mother, and that gives her the strength to cope with a change, a disappointment, a failing. As I wrote these scenes, I better understood my niece and the children I had worked with. When I put myself in Sierra’s place, I came to realize the true power of their hope. Hope isn’t something you use to delude yourself; it is something you use to sustain yourself. Throughout Every Shiny Thing, Sierra has to learn that she doesn’t have the power to save her mother or to save Lauren, when Lauren brings her into a toxic situation. But she doesn’t lose her sense of hope. It’s what allows her to envision a renewed friendship with Lauren after conflict. To envision living another year with her foster parents. To envision a garden growing in the spring. Laurie: I taught middle school English for ten years, and I was constantly inspired by my students’ passion for fairness. When they saw injustice, they wanted to do something about it. They wanted to adopt a bonobo in Africa. Join the LGBTQIA alliance and give presentations to younger classes. Organize bake sales and protest marches. As an adult, I felt unfairness deeply, too, but I didn’t always follow up that feeling with a desire to act. I had lost some of my students’ hope for the world: the hope that made them believe that things could—and should—be better. That when something felt wrong, they had to try to make it right. In Every Shiny Thing, Lauren embodies this hope for the world. When she realizes that her brother has opportunities other autistic teens don’t because of her family’s wealth, she becomes determined to raise money for kids who don’t have her family’s resources. But unlike my students, Lauren takes her plan too far. She becomes addicted to this need to help, shoplifting and implicating Sierra in her illegal actions. Lauren’s hope sustains her…but it also sets her up to make big mistakes, since her focus on a positive end result leads her to ignore the consequences of the actions she takes along the way. And it makes her vulnerable to major disappointment, since big change isn’t easy to enact. But like Sierra, and like the students I’ve known, Lauren is resilient. Despite the trouble she causes, she holds onto her belief that, someday, she will be able to make a difference. She must loosen her grasp on her hope just a bit, but it’s still there, guiding her to become the remarkable person I believe she’ll be. It was a joy and an honor for us to learn from Sierra and Lauren about what hope means. They have inspired us as writers, since we, too, need hope to sustain and guide us each time we begin a new project and have to trust that we can bring our vision to life. And, even more importantly, they’ve sparked our hope for the future. We can envision a brighter, fairer future for the world thanks to the resilience and passion of young people like Sierra, Lauren, and the kids we’ve known. 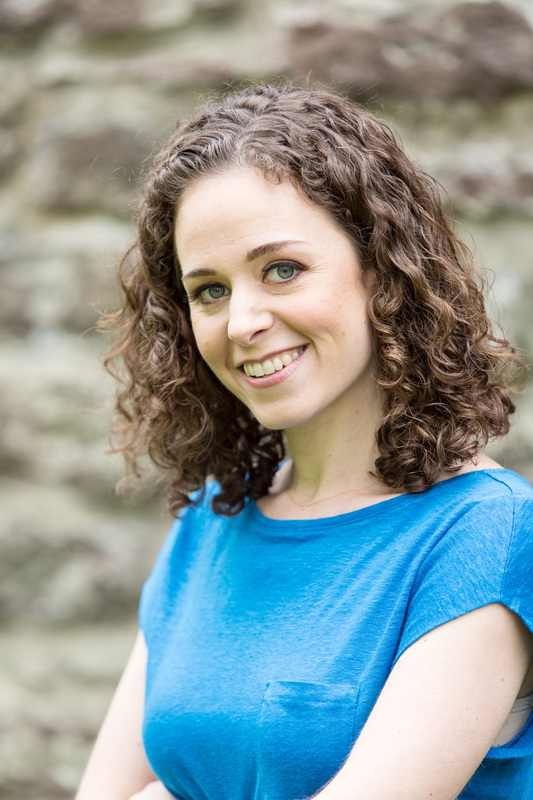 Cordelia Jensen is the author of the YA novel-in-verse SKYSCRAPING. 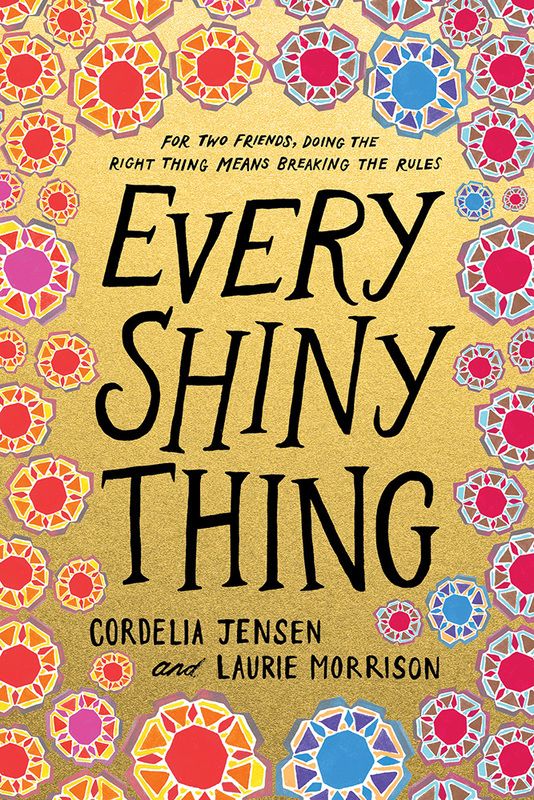 EVERY SHINY THING is Laurie Morrison’s first novel. Both authors live in Philadelphia and received MFAs in writing for children and young adults from the Vermont College of Fine Arts.